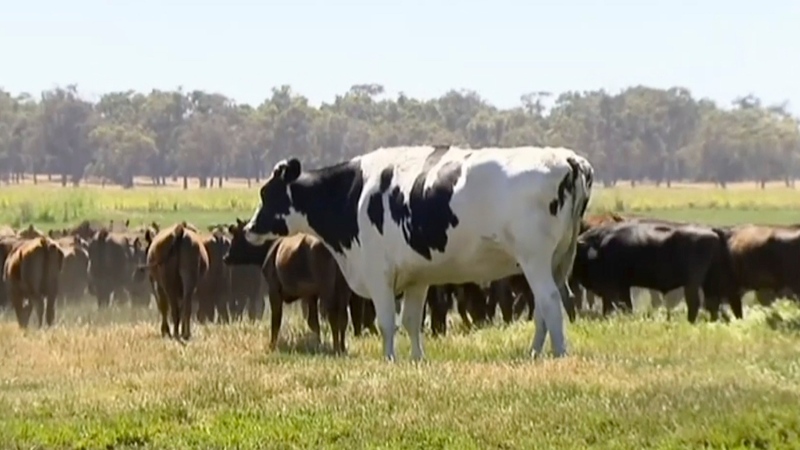 LAKE PRESTON, Australia -- Knickers the steer is huge on the internet -- for being huge. The black-and-white Holstein Friesian won social media fame and many proclamations of "Holy Cow!" 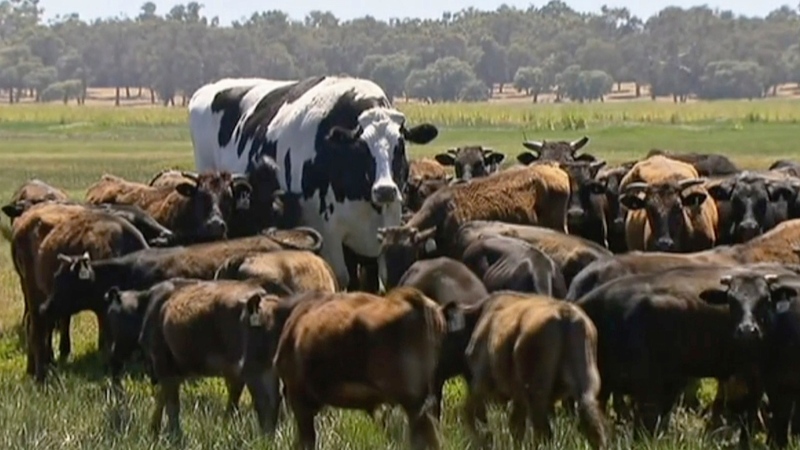 after photos surfaced of the 194-centimetre (6-foot-4-inch) steer standing head and shoulders above a herd of brown wagyu cattle in Western Australia state.